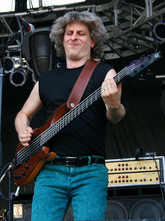 Mike Gordon, named after famous bass guitar player Mike or Michael Eliot Gordon, is an online store. This store sells different exclusive items including CDs, vinyl, T-Shirts and many other items of Mike Gordon and his band. Moreover, they generated funds for Vermont flood recovery in 2011. They sold CDs that consists of some excellent tracks, mike Developed or participated since 1999. They offer warm goods that include Mike Gordon points and planes hoodie for women, Mike Gordon IDEA hoodie on eco charcoal. Their even offer several hard goods including Mike Gordon iPhone 4/4s Skin and hard case, Mike Gordon Spar Coffee Mug, Mike Bass Guitar Magnet. There are currently 0 consumer reviews about Mike Gordon available. Share your review. Please take a note that you are about to post a public review about Mike Gordon corporate office on CorporateOffice.com. This review will be public, so please do not post any of your personal information on this website. If you would like to contact the corporate offices of Mike Gordon, please use their contact information such as their phone number, website, and address listed above to contact them. However, sometimes staff from Mike Gordon headquarters do read the reviews on this website.